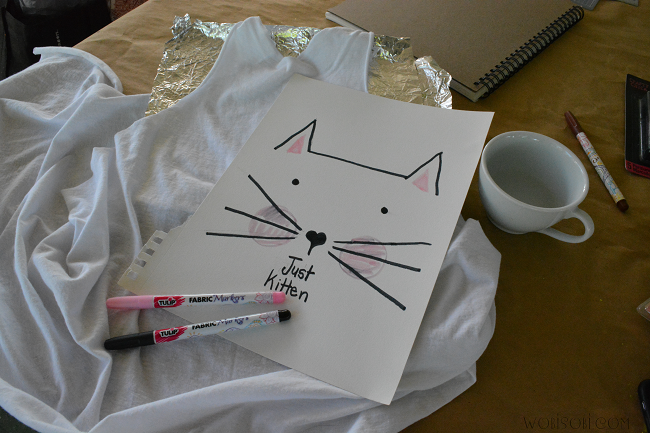 WobiSobi: Just Kitten, T-Shirt DIY. 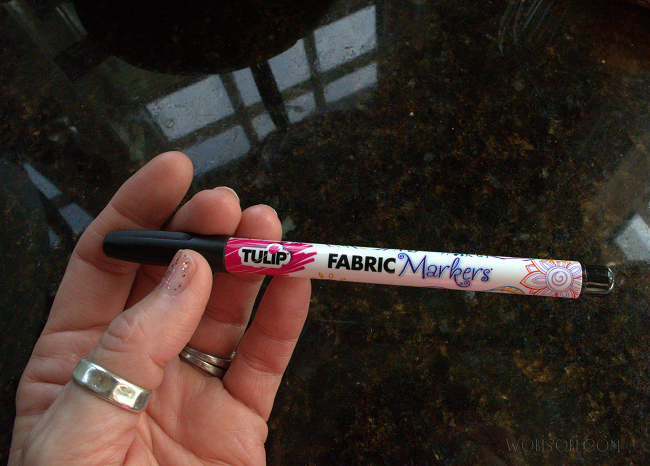 Make a t-shirt say anything you want by using Tulip Fabric Markers. 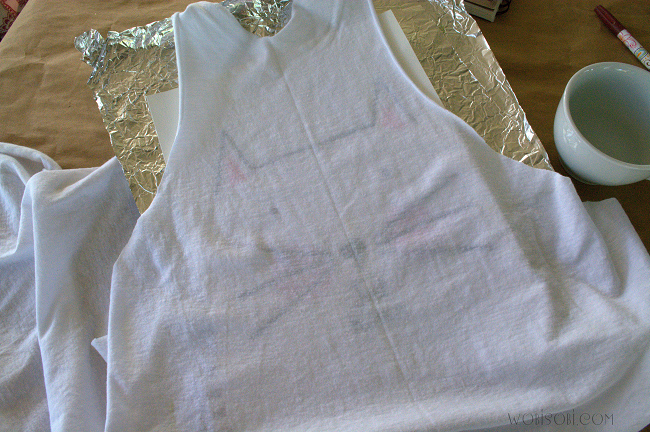 Place the stencil under the shirt on top of the foil. which are the ears and cheeks. 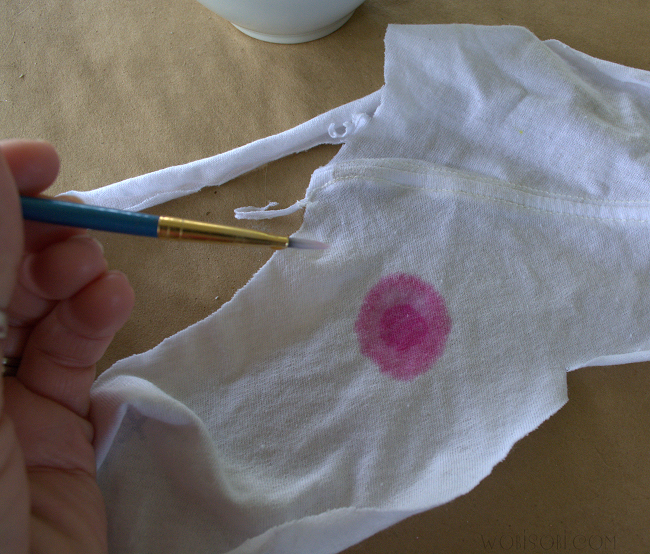 Practice on a scrap piece of white tee shirt if you are not sure. 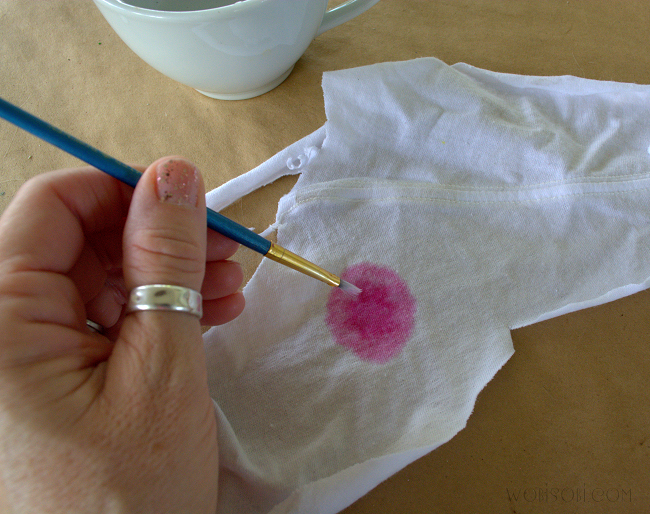 with a little water on the brush, dot the circle in a circular motion. 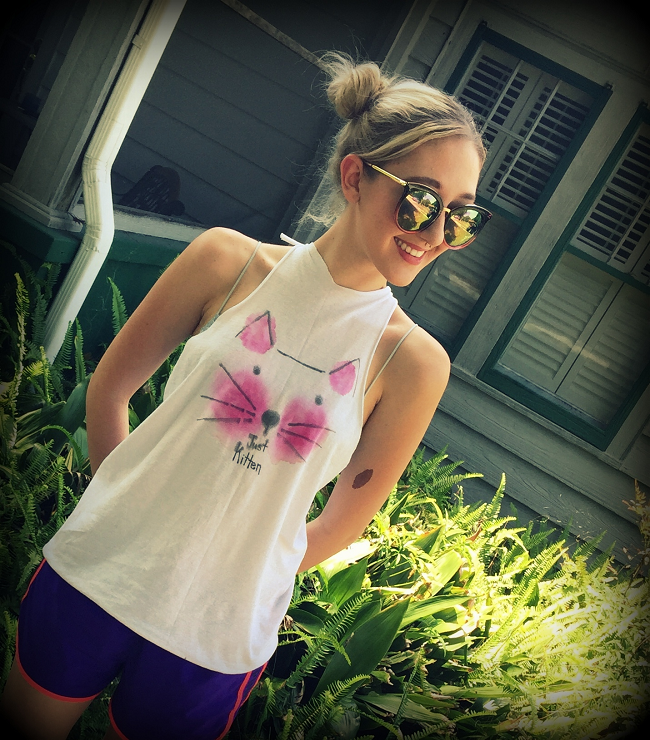 Once you have your Technique down move to the shirt. 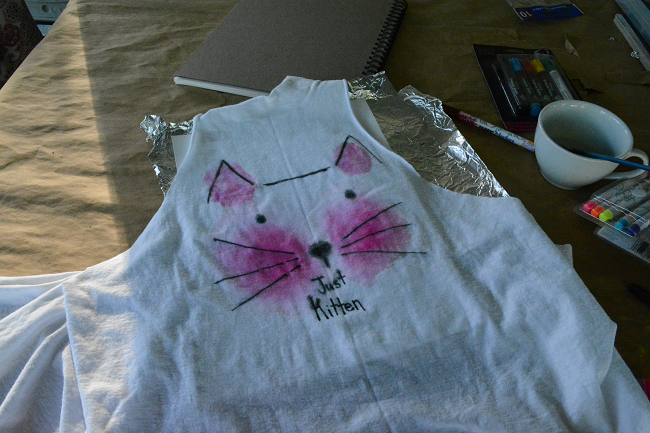 When the shirt is to your liking let it dry completely before adding your black outline. 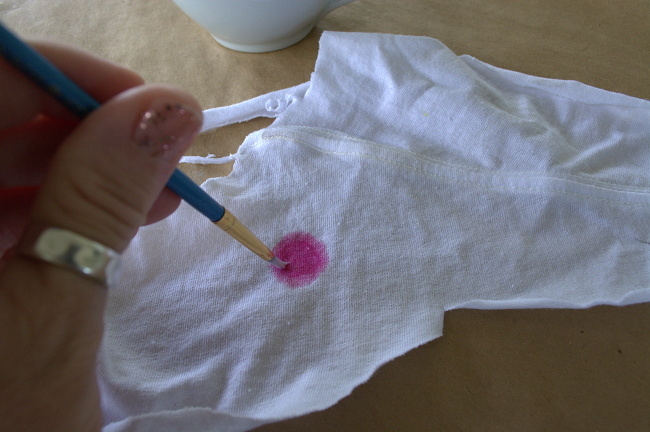 * Make sure the shirt is dry so the black marker does not bleed. 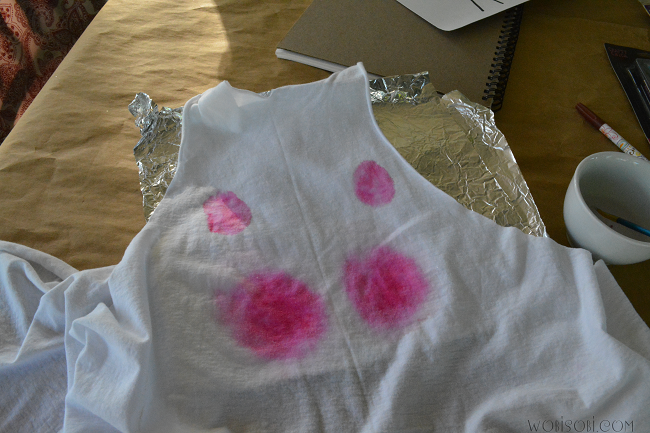 Replace the stencil, lining it up to the pink cheeks and ears. 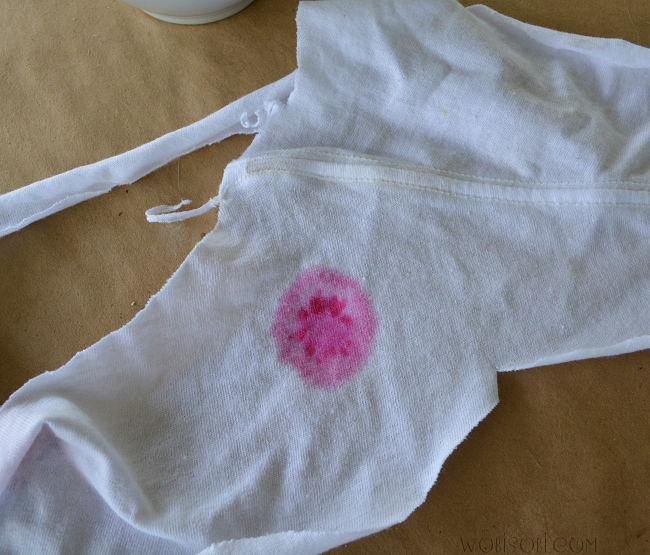 Let dry 48 hours before washing. 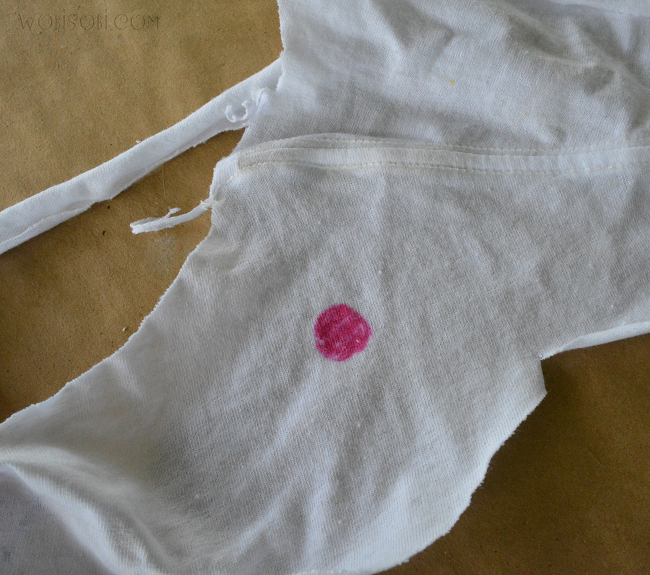 When you do wash it, wash it in cold water and hang it dry. 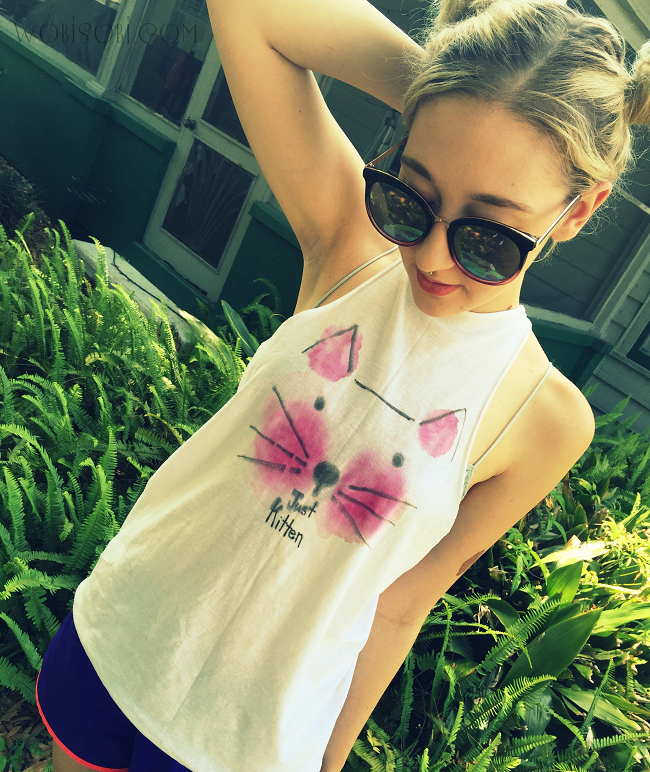 which is the best thing about creating your own Tee Shirt. 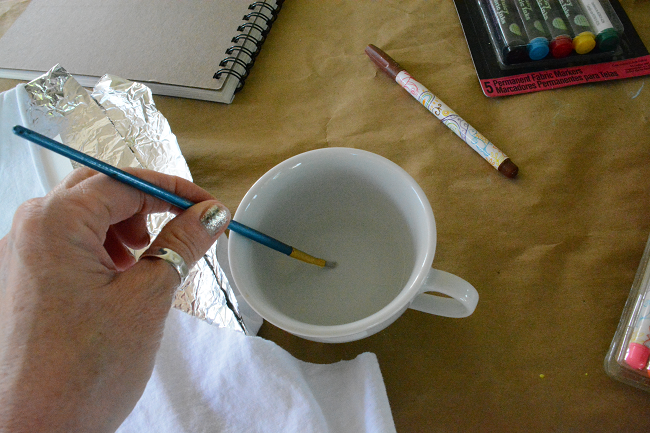 Gathered Back, Tied Tee; DIY. 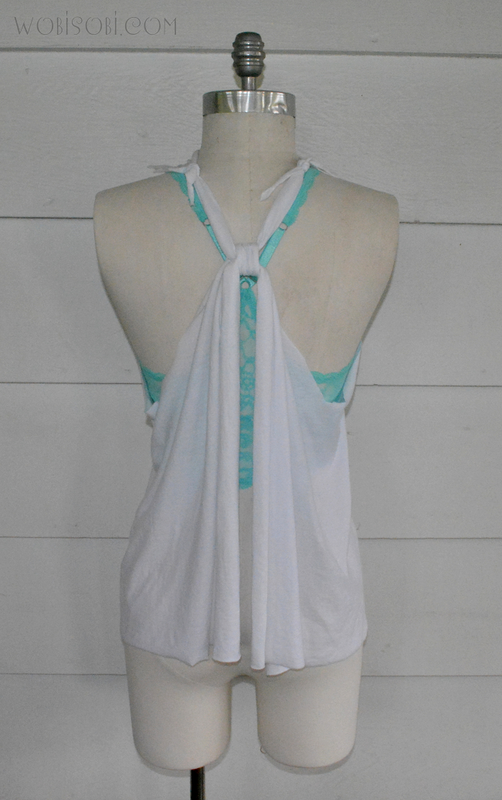 Open Back, Tied Tank Top.